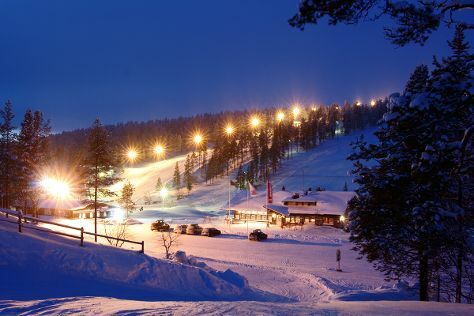 You'll find plenty of places to visit near Inari: Gold Prospector Museum (in Tankavaara), Skolt Sami Heritage House (in Sevettijarvi) and Saariselka (Saariselka Ski & Sport Resort, Nature & Wildlife Tours, & more). Spend the 8th (Fri) exploring nature at Lemmenjoki National Park. To see ratings, other places to visit, maps, and more tourist information, go to the Inari trip builder app . In February, plan for daily highs up to -6°C, and evening lows to -15°C. Cap off your sightseeing on the 9th (Sat) early enough to travel back home.